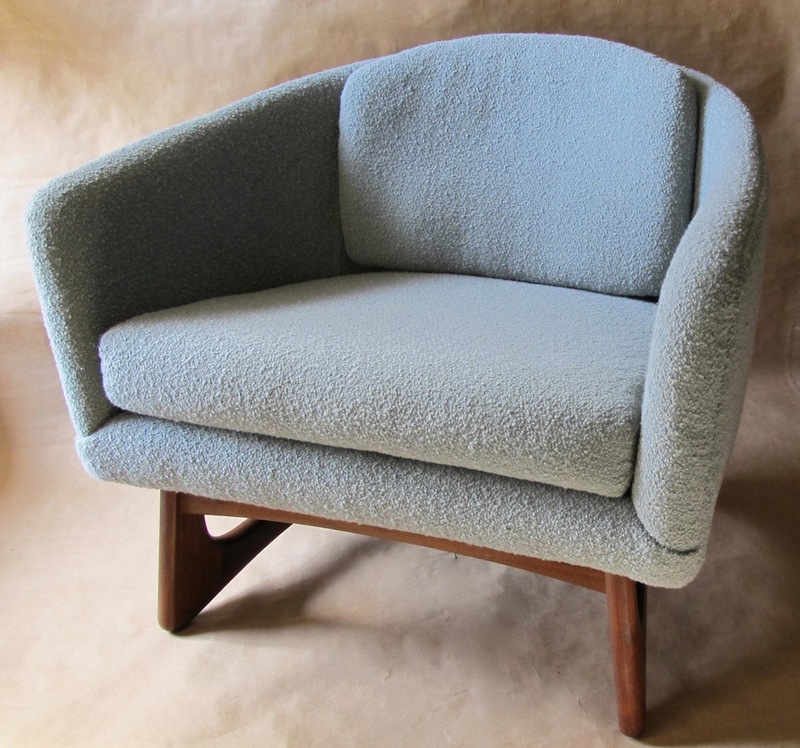 This was a recent reupholster of an Adrian Pearsall lounge chair made by Craft Associates in the 60s. 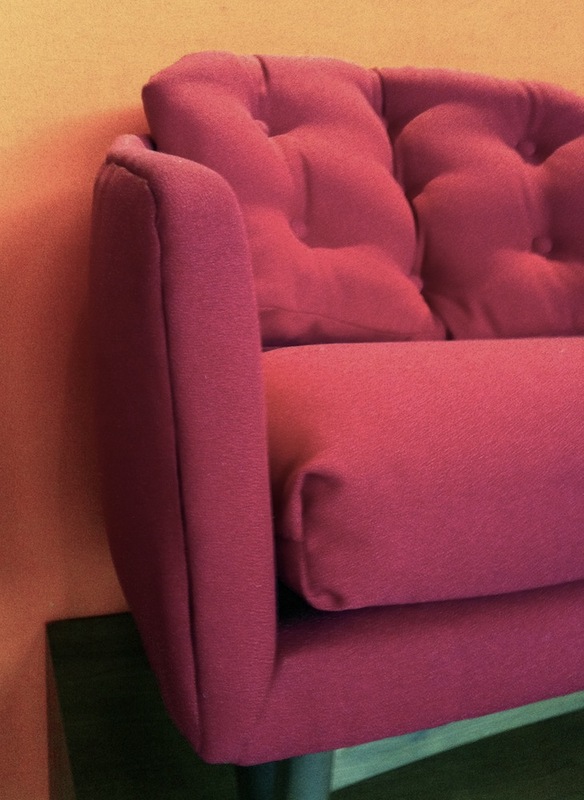 I thought the back cushion might have been a restyling but no, the originals had that button tufting. They tended to get lumpy and saggy over the years. 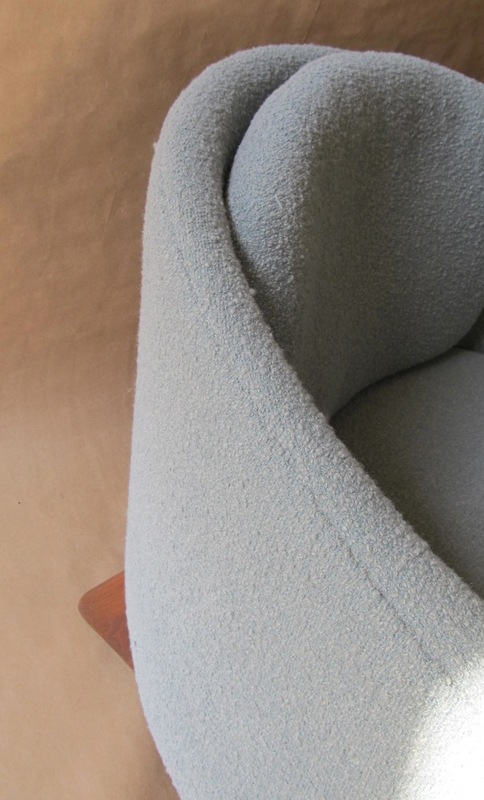 The new owners wanted a sleeker look so we decided on this foam cushion shaped to fit the curve of the back. 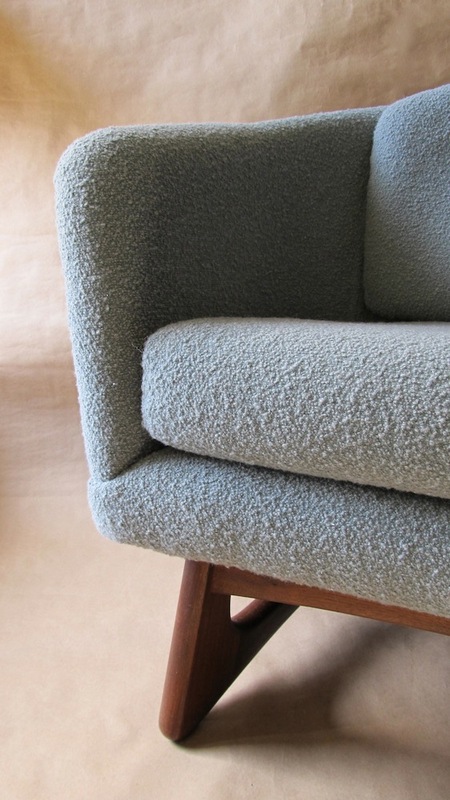 The new fabric is Knoll’s “Classic Boucle” in the Smoke colorway, medium gray with a hint of blue. 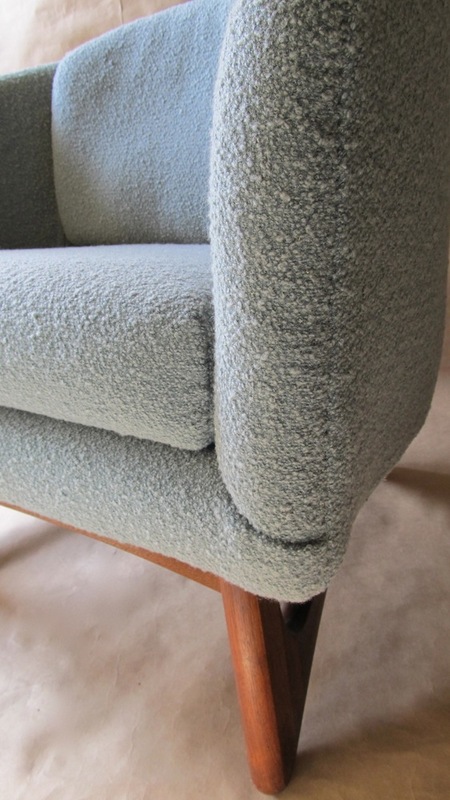 This was actually a new upholstery job but the fabric was thin and unforgiving did nothing to hide the uneven padding. The owners asked for a shorter back cushion to give the chair a more modern look. I think it works well and of course this restyling is easily reversible should a future owner want the original look again. I hand stitched the seam rather than using the hidden metal grip strip. It’s just less noticeable. 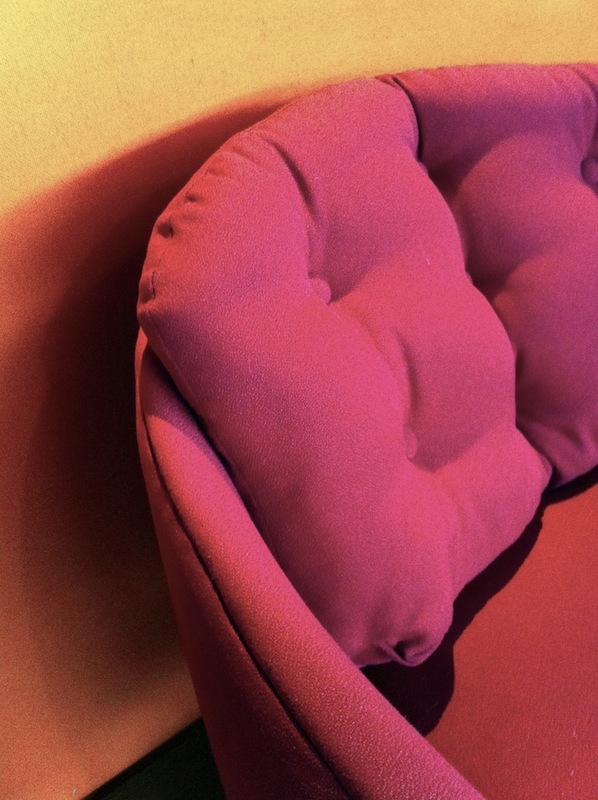 You can also see a slight curve in the back cushion in this photo. I added a layer of firm foam at the bottom for lumbar support. It doesn’t look like much but it made a big difference in the comfort level of the chair. 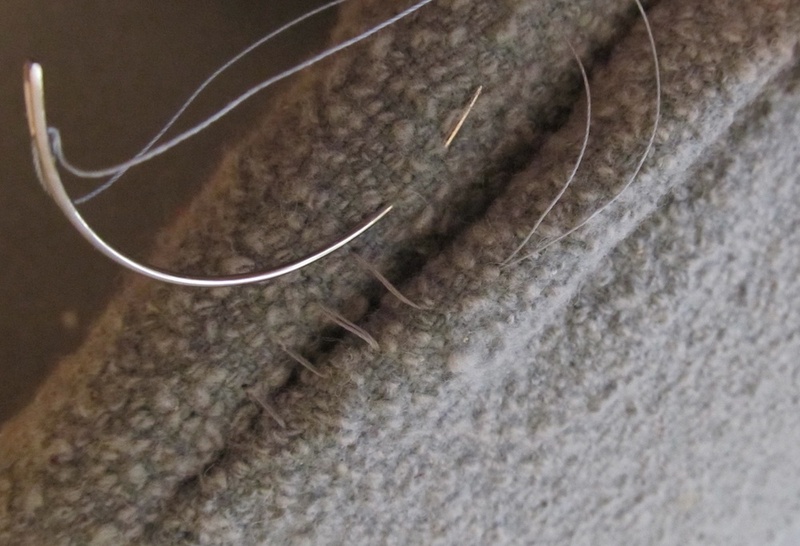 This is the hand-done ladder stitch. When you pull on it, the thread disappears and all you see is a neat, tidy seam. This is the same stitch used on the Swan chair, Papa Bear chair, Egg chair, etc. I hand stitched around the entire back, too. This is a good view of the oiled walnut base and also the lower edge of the chair, which had been very lumpy and bumpy due to uneven padding and screw heads. You can see the lumpy seam on the top outer edge of the arm in this one. Note the big tucks in the corner of the cushion, too. 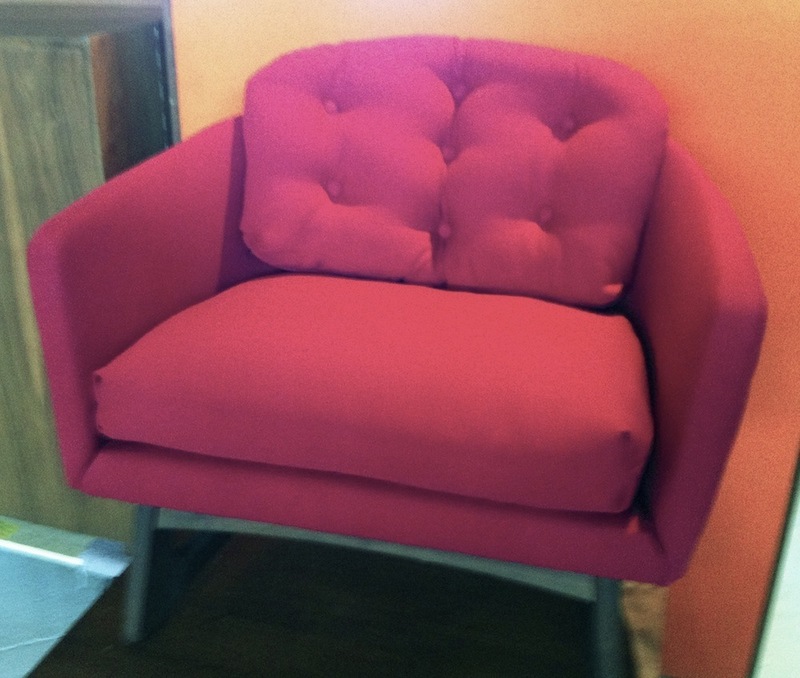 This chair was one of my favorite projects. 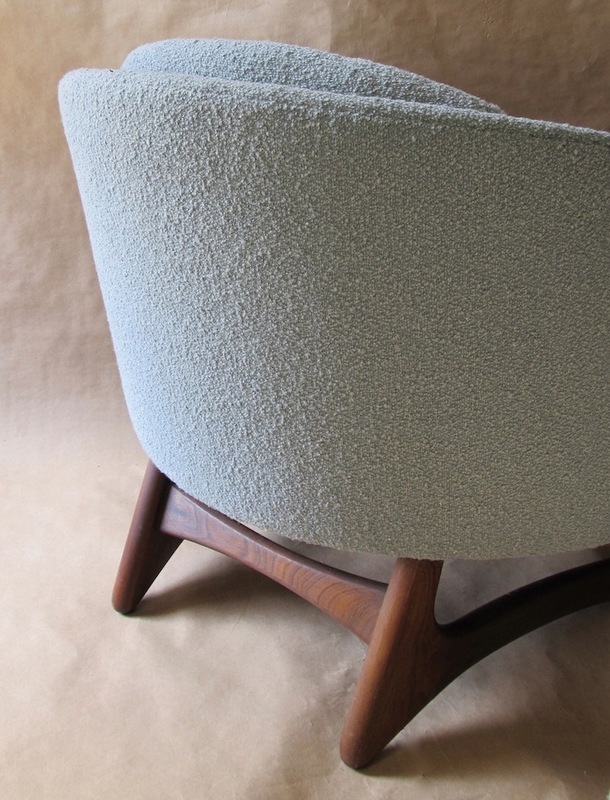 This entry was posted in Adrian Pearsall for Craft Associates, mid-century modern and tagged Adrian Pearsall, lounge chair, mid-century modern. Bookmark the permalink. <—novice here… would it have been less bumpy if you had used strips instead of stitching? I don't know if they make the flexible sort… Thanks. 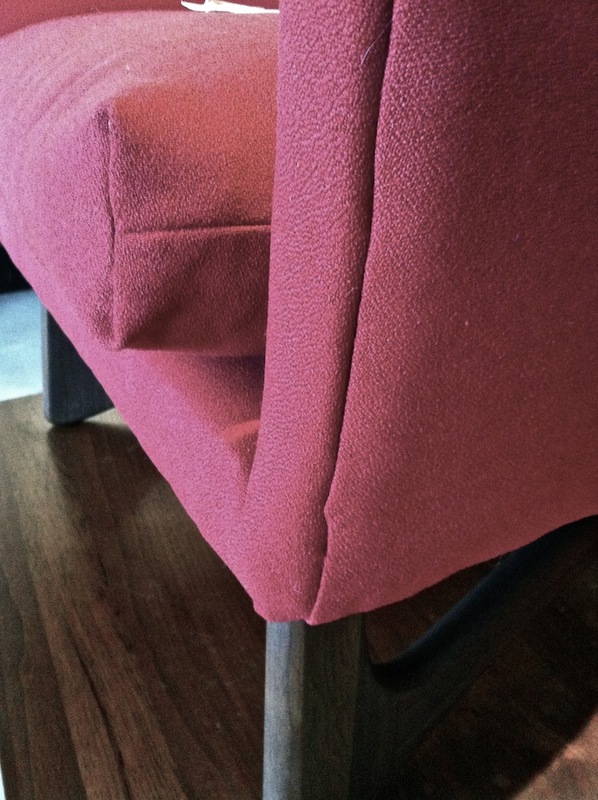 I’m not sure what you’re asking—you mean if the person who did the red upholstery had used tacking strips or Ply-grip, would it have been less lumpy? I think they did use one or both of those products, just not every skillfully. I did the hand stitching because I like how it looks. I could have gotten as neat a seam with Ply-grip but the seam would have been more noticeable. Design Restoration Spares (parts source) “Online-shop for replacement parts for your design classics.” Based in Germany.